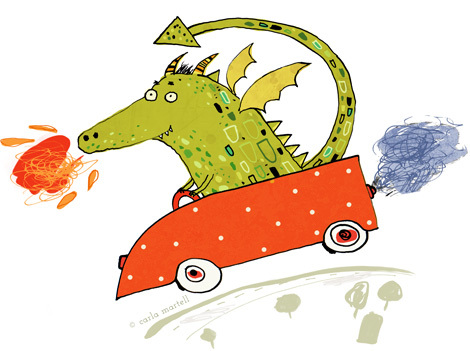 I can safely say that I have never ever drawn a dragon, until just now - and L was never into them, or even dinosaurs. I don't think this dragon is quite as finished as it could be, but I wanted to get it done for this week's Illustration Friday. Let's just call it a dragon-in-progress! Thank you, Roberto & Rossichka! I am well.. just been in Wellington for the weekend for the International Arts Festival and arrived back to see your lovely comments :) Hope all is well with you too.